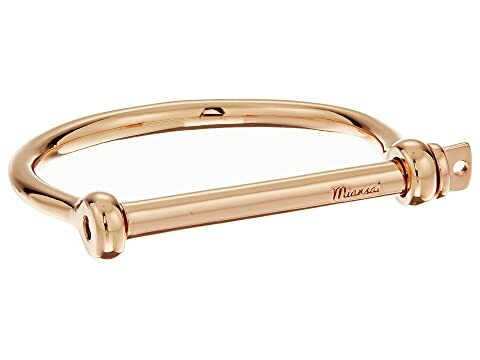 We can't currently find any similar items for the Screw Cuff Bracelet by Miansai. Sorry! This was a bit of a splurge for me, but I really love it. The rose gold is beautiful, different from your typical yellow gold but not overly pink like it sometimes can be. The design is simple but interesting, and you really can dress it up or down.